What does it take to become a Cognitive Business? So if you have a system whereby it can “URL”, then you’ve got yourself a cognitive system/business, brilliant! Well, not quite, as Vijay would tell you himself, you really have some work to do to become a real cognitive business. Use the diagram below to start paving your ways in moving towards the right cognitive strategy. Collect the right data, internal and external, structured and unstructured, partners’, vendors’ and competitors’, news sites, social media, employee enterprise social networks, Patenting DB’s, Licensing experts amongst others. Be imaginative! Choose the right cloud platform (public, private, hybrid) for your industry and needs and be selective about the API’s you use, they can get pretty expensive! Figure out if you are “infrastructure-ready”. Cognitive workloads can get very heavy! Be agile and nimble. Fail if you must but fail fast and learn even faster. See my blog on Design Thinking and Cognitive projects. As cognitive computing finds its way into homes, cars, roads, buildings, supply chain, Banking transactions, airports etc., Securing every cognitive transaction becomes a must and not a nice to have. Why Many Artificial Intelligence Projects FAIL? Nowadays, we hear the buzzwords like Data Science, Artificial Intelligence (AI), Cognitive (a less scary way of saying AI) over and over, I think that’s very clear. Big Data to take the complexity away from the processes our Doctor’s have to deal with every day. My client was also tired of big consulting firms saying things like “our most prestigious product X can so easily take care of this”. My client’s frustration was that she felt no one was listening to her and everyone was trying to sell her a technology. This is a very common mistake when we try to solve a business problem by thinking of a “solution” straightaway and without giving it any thought of what it really means. We all know what cognitive solutions can be capable of, but it is also important to bear in mind that AI solutions are hard to build since the nature of their business requirements are often not fully understood. Think about it for a second, how can you possibly provide the best solution to a vague requirement like I stated above without completely breaking it down? What is crucial is that you take the journey with your client and demystify the unknowns first. There are so many unknowns when it comes to AI projects and the issue is that most of these unknowns will remain unknown if a proper methodology is not used to de-code them. So, how can Design Thinking help? Design Thinking is based upon 3 simple principles, Observe, Reflect and Make. 2) See the problem from the user perspective and not yours, and not the CIO’s! 3) Ideate absurdly, yes, free them from the status-quo and help them come up with brilliant ideas. Have you ever taken a yearly employee engagement survey where you respond to a number of questions “anonymously”? Many fortune 500 companies are realizing the yearly employee surveys are necessary but not enough when it comes to measuring employee morale. Attrition rate is at it’s highest rate for decades and employers are struggling to retain good talent. According to Gallup, global employee engagement is at 13% only. This means the rest are either on auto-pilot or just dread coming to work! The role of Analytics By applying sentiments and emotions analytics, HR managers could tap into the enterprise social networks (ESN) to find out why their employees are unhappy based on specific demographics. With Yammer being a successful social tool we have built a one of a kind solution using the great cognitive powers of IBM Watson and and Microsoft Power BI. A large global retail client has tried our solution with great success where the corporate took action to increase employee productivity.A large insurance company managed to decrease their attrition by 12% by simply knowing the Next Best Action when it comes to employee morale. Click here to see this for yourself absolutely free of charge and request a proof of concept (POC). Employee Experience (EX) is still on the top 10 list of CXO’s and yet it is problematic for most fortune 100 companies in the world. There are many components to a great EX, in this blog, I will be focusing on EX from the lens of collaboration, namely Intranets. I have the luxury of getting a look at many internal collaboration software and tools, and when you look at some, you think you are looking at something from late 90’s! It’s not so much the look and feel or the UI that seems outdated, it is the lack of great UX that is needed to make employees productive. In this blog, I have outlined the top 10 business cases. I have not provided detailed solutions for these issues here, you will find the solutions to these use cases in my upcoming blog, “how to build engaging Intranets”. Having benchmarked 42 Intranets and Extranets globally, I have complied the following use cases which are either non-existent or if they exist they suffer from a poor functionality. Your Intranet needs to be so engaging, that if you took it away from your employees, they would not be able to do their work! Today, employees are having to use several tools in several different locations and formats across their network, e.g. expense reports, tasks, time off, portals (myHR, myFinance), enterprise social networking among many others. It seems most companies are doing a good job with their communities (team sites) but not so great when it comes to micro blogging capabilities. For example, on the Microsoft platform, many are still confused as to whether to use SharePoint Newsfeeds or Yammer’s. The arrival of Office 365 and many other cloud collaboration software, has now created an on premise vs. cloud (hybrid) environment which makes it even harder for employees to be social. Search remains the biggest pain point for organizations and once again, the arrival of the cloud has worsened this problem. People search is less problematic, nevertheless, the lack of information in employee user profiles (skills, past projects, activities, etc.) severely hinders the expertise search across the enterprise. Employees still feel they are working in silos with minimal collaboration with their colleagues. This is across the board from document collaboration to unified communication when it really matters. Unified communication has had more success recently with the arrival of contextual instant messaging (IM) on the Intranet pages. I want to be able to connect to my executives, I want to have a voice! Once again, the top-down connection seems an issue and this directly affects employee morale. Imagine when you land on the home page of your organization, you get direct access to all line of business applications without having to navigate to different pages. From ERP apps, to CRM and business process management software, application integration remains cumbersome and expensive. Seems like the management do not see a clear ROI in integrating or at least aggregating content and business processes! Although not very hard to implement, not having contextualized information is resulting in lower employee adoption. For example, when interviewing stakeholders of a company with 110,000 employees worldwide with several business units and locations, the main complaint was the lack of content relevance. “I want to see the news for my area”, I want to see content that is pertinent to my business unit”, “Why am I receiving information that has nothing to do with what I do on daily basis”, sounds familiar? It is great to see various content repositories available to employees, e.g. One Drive, SharePoint online, IBM Connections, Box, drop box, SalesForce, Confluence, etc. But the problem is, a) there are too many repositories and b) There is no congruent approach to have the content aggregated and c) not all important content is available on the cloud. Employees should not really care or be responsible for content management, “Content is King”, well, maybe, but “it needs to be a kind king” and content needs to be organized and made available to employees any time anywhere! Employees find it very hard to innovate. Innovation software are hard to use and the existing ideas are being lost. Organizations are losing money for not innovating, (See my session on Innovation, Why Innovation is so hard). “Our Intranet is boring and outdated”, “Why does content sharing need to be so monotonous”, “I am not being rewarded for my valuable content”, “No one recognizes my efforts when it comes to sharing great content, I wonder if I should stop”. Employee recognition on the Intranet is an easy way of boosting employee morale. I have seen some companies making great use of “gamification” and badging, but this is very rare. Mobile Intranets are seldom found. And if they exist, it’s usually all about the news. Content and document collaboration on mobile devices, whether or not they belong to the employees, is sporadic and hard to use. Watch my recent Presentation on Social Innovation at Microsoft Convergence in Atlanta! Why Innovation is so hard, or is it? 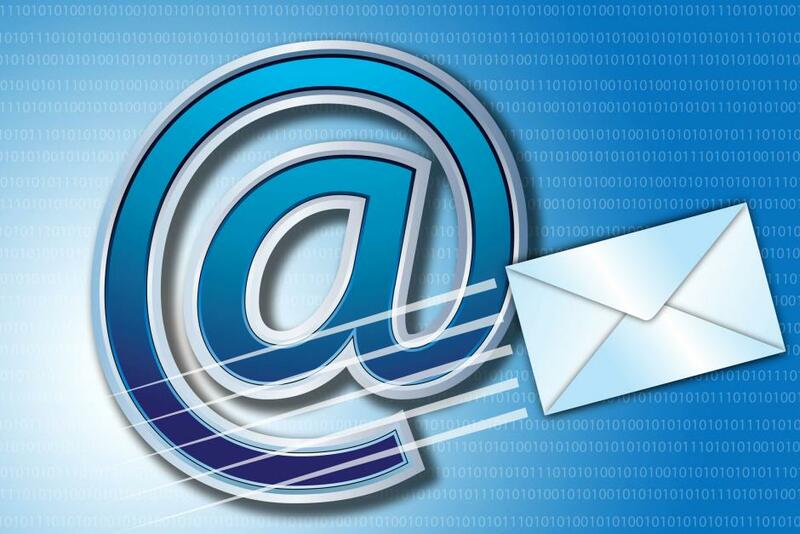 Is email really on its last legs? I remember a few years back, a very well known thought leader said that email would die by 2014. Well, 2014 is here and I see no funerals. I keep hearing that the “younger” generation do not use email much and that’s true, however, I think they do not use it because they have no reason to use it. I cannot imagine my nephew of 16 needing to use email much as all of his purchases are carried out by his parents and thus, all confirmations go to them, frankly he does not care to see them anyway. However, I think as the younger generation “mature” and enter the world of transactions they will appreciate email a little more. OK, here it comes a confession, even from the “Social Guy”. I must admit, I am still getting more attention and hence reaction even from my most social colleagues when I email them as opposed to sending them a “private message” which is subsequently emailed to them anyway!!!! Most managers still feel they need to use e-mail to ensure their instructions/expectations are followed/met, put it this way, if I receive an email from my boss, I am more likely to react in comparison with receiving a post/tweet!!! Yes, I know, email is as wide open as social media in terms of the applications of social listening and inquisitive analysis, BUT, not always!!! Let me elaborate, I feel people, STILL, trust email more, even though they know it’s as easy to intercept email as their tweets, somehow however, due to the very notion of social (being open), in the social world, at least they know a private email is between them and those whom they write to, not necessarily those whom they follow or being followed by. I know for sure the same applies to the corporate world. If something applies to my team that I really do not want to share with anyone, where would I put it? Yes, I could create a community for it, but what if it’s a one off and creating a community for a simple conversation seems like an overkill? I do like the notion of “spheres” for this though, Newsgator were the first social sofware to come up with this, even though I used it, I felt I could not fully trust it. When I see reputable social software trying to include social posts into emails directly from news feeds and activity streams, I think twice about the death of email. Recently, Microsoft/Yammer invested a lot in Office 365 and Yammer to ensure SharePoint and Yammer conversations can easily be included in emails, YES I KNOW, it’s hard to believe. So, you could simply add someone in your post (by adding their emails to the conversation) to ensure they see it too. SocialCast and Jive are doing the same. Hold on, even Facebook, Twitter and LinkeIn use email to notify their customers (one way or another), so why is that? Hey, I love social and anything to do with social, BUT, I think of email of yet another social vehicle. Yes, it’s more monolingual but I think it can still be a powerful tool to help social adoption. Actually, I was pleasantly surprised to see I could send status updates directly form my email client (Lotus Notes and Same Time) to Connections, I think that’s a fantastic way of getting more people to use Connections. Now let’s see what kind of attention I get here 🙂 I am wondering though, should I email this blog??? ?